The holiday shopping days are dwindling down to a precious few. We know it's been a tough year and for many it's been too busy or just too much of everything to even think about holiday shopping. If you’ve still got a few gifts to buy (and we realize some of you might even have eight of them), here's something better than crying and pouting - our Dean’s List of options you can find at most corner liquor stores that should suit all the legal drinkers on your holiday list, as well as a few things you can still order online. This option is still miles ahead of a generic gift basket or a Starbuck’s card. At around $20, this 86-proof offering is a nice twist on traditional Jim Beam. Praised by critics as a great “everyday bourbon,” butterscotch is the dominant note, as are dried fruit, vanilla and toffee. It even won Double Gold in the 2016 NY International Spirits Competition! For the Anglophile on your list (you know, the one who still keeps their Charles and Diana commemorative plate behind glass), this “very special old pale” Cognac was originally commissioned by request of The Prince of Wales, later George IV. A global force, Hennessy sells almost 50 million bottles a year, with prices edging up to $5,000. Don’t panic. This long-admired version (gold medal winner, 2016 NYISC) – with notes of oak, vanilla, cinnamon, clove and candied fruit – markets for around $70. Every distillery has its “unique” origin story, but there’s a truly intriguing one behind this South African liqueur. The mystical Marula tree bears fruit once a year and elephants are usually the first to know, following its exotic scent for miles to get a taste, with Amarula’s distillers presumably close behind. To show their appreciation, the makers of this affordable liqueur (aged in French oak for two years before its blended with cream) have even created a foundation where donors can save and then name endangered African elephants. After you’ve enthralled your gift recipient with the story behind Amarula Cream (around $25), crack open this 2016 NYISC gold medal winner and enjoy a glass over ice. In the season of magic elves and flying deer, it makes sense to source gifts from Iceland, the otherworldly North Atlantic volcanic island nation where the majority of its 100% literate population has been schooled in fairytales! Handcrafted and distilled six times, this clear and affordable ($20-$30) small-batch, 40% vodka holds its own in taste tests against Grey Goose. The sans-serif label and clean packaging are a stylish plus for this 2016 NYISC gold medal winner. Yes, Canadian Club is hopping on the rye bandwagon, but why not? It’s a worthy trend. Canadian Club Rye (about $20) is the newest addition to the venerable Windsor-based global brand, which also includes 9- and 12-year-old varieties of whiskey, on top of its signature product, 1858. While most Canadian whiskeys are blends of corn, rye and barley, Canadian Club 100% Rye is the rye component of that more traditional mix. This 2016 NYISC gold medal winner is noted for “spiciness, caramel and oak notes,” critics note that it has more “complexities and spice” than traditional Canadian Club. If going full on smoky is a little too risky, this mid-priced Scotch with a plum finish and Christmas cake palate should be just right under the tree/bush or atop the secret Santa swap table. Dalmore is the perfect gift for the Scotch initiate – a smooth, slightly sweet single malt that’s easy on the tongue. Reasonably priced at around $50, this 2016 NYISC silver medal winner is a real figgy pudding of a dram. If you don’t check the label twice, you might confuse this dark gold tequila with American whiskey, until you taste its notes of black pepper, vanilla and roasted agave mixed with old oak. It’s a well-aged tequila with vanilla, black pepper and roasted agave flavors with hints of oak. That would be because it spends four months in charred oak barrels. Reasonably priced ($30), Hornitos founder Don Francisco Javier Sauza introduced his signature, 80-proof tequila in 1950 in honor of Mexican Independence Day. Gift getters will be impressed by this deco-inspired take on the traditional Tanqueray green bottle, the lovechild of a translucent skyscraper and a Philippe Starck juicer, which is a nod to this gin’s use of fresh citrus. Priced around $33.00 and crafted in Tanqueray’s small No. 10 still, it’s a favorite with craft bartenders, many of whom consider it the ideal gin for their specialty cocktails as well as a classic Martini. What separates this one from the distiller’s old reliable London Dry Gin is a greater emphasis on other botanicals and less on juniper. Some fantastic titles came out this year, and if you read these pages, you will find reviews of quite a few of them. Here are three more to consider, and though we always first recommend supporting a local independent bookstore if you have access to one, you still have time to take advantage of Amazon Prime's expedited shipping. The New Single Malt Whiskey is a compilation of whisk(e)y writing assembled by aficionado Carlo Devito. It's the only book that is exclusively about single malts, and includes contributions by notable writers from around the world (including professor Keith Allison and editor-in-chief Amanda Schuster), as well as cocktail recipes and thirst-inducing photographs. The American Craft Beer Book: 155 Recipes From Your Favorite Brewpubs and Breweriesby John Holl: This book is sure to please any beer lover in your inner circle. They probably already know what to drink, but what to pair and pre-pare with beer can still be a head-scratcher. It also works well as a standalone cookbook. Though it technically released late last year, a fun gift for newbies exploring spirits and cocktails is The Year of Drinking Adventurously. Written by Jeff Cioletti, this book invites readers to step away from everyday tipples and get out of comfort zones while providing a good starting primer on a variety of spirits and cocktails. Whisky Japanby Dominic Roskrow: A decade ago, when Japanese whisky was first gaining traction in the western marketplace, no one could have foreseen the demand it has today. This book details the whiskies and their culture, profiles key distilleries and their masters, gives you a list of all the great bars around the world to drink Japanese whisky and even provides some excellent cocktail recipes to make with it. It's an essential read (with gorgeous photos too) into this elegant and somewhat mysterious category. 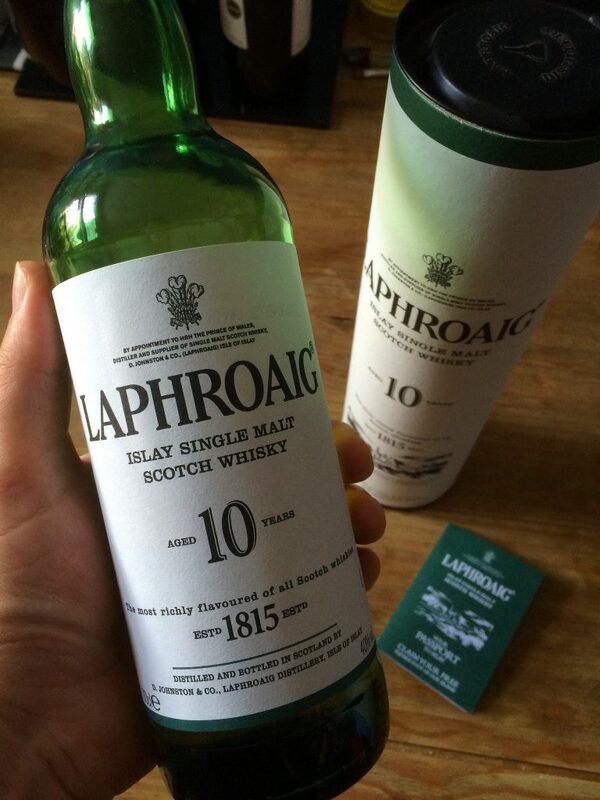 If you know someone who loves single malt Scotch now, why not gift them something they can enjoy all year? A membership to the Scotch Malt Whisky Society is simply one of the coolest things out there. The Scotch Malt Whisky Society has existed since the 80s as both a members-only club with three locations in Scotland and London, and an independent bottler of distinguished single cask malts. Because single casks of a particular whisky have their own character, the bottles are not labeled with the distillery on them. This allows the drinker to appreciate them for what they are, and enough secondary information is available to assure that each provides a special, precious dram. Member ship works on two levels - You can choose to include a starter pack of their exclusive, cask-strength single malts, or simply give them a membership so they can choose their own whisky adventure, which comes with tons of elegant perks and access to the member's only whisky clubs as well as an insider's head's up on their tasting events at partner bars around the world. Now have a delicious holiday - no excuses! Cheers!